Londrina is formerly known as Folk. Folk typeface project is in the streets of Sao Paulo, Brazil: Urban confusion. Initially made for a poster, I saw at the start some potential for a typeface that could recall the feelings of the writing used day-to-day in my city’s informal communication. 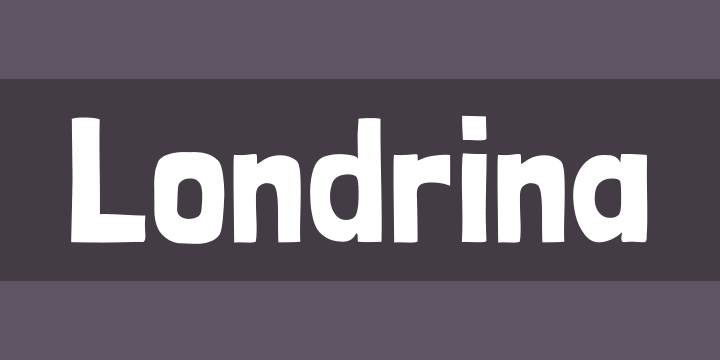 Londrina is a Unicode typeface family that supports languages that use the Latin script and its variants, and could be expanded to support other scripts.